If you go to 47th and El Cajon Blvd. you will see a Vietnamese restaurant named Pho Hoa right next to the Domino’s Pizza. Once you walk in, you are greeted by their servers with a friendly attitude and they seat you right away. 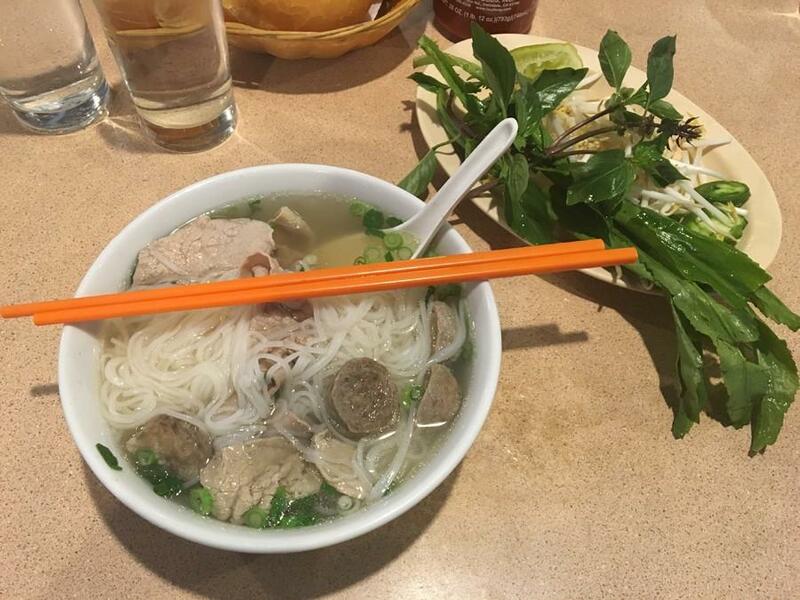 I am a regular customer at Pho Hoa and love going there. Never has there been a time where I have received a service that did not have me leaving the place unsatisfied. Once you are seated they bring out the menus and give you a reasonable amount of time to get your order ready. They come by every couple minutes and ask if you’re ready. They will give you your time but will not leave you there for a long time. The staff is super helpful and if you want to somewhat customize your order they will do it without any trouble or hassle. When I visit the restaurant, I usually get bowl with flank brisket and I always order it with beef balls on the side accompanied with a sprite and some bread. The whole ambiance of the restaurant is very authentic and you can really feel the culture of the place. Their noodles are cooked just right and the meat is served exactly how you want it. I prefer mine a bit red so I can put it under all my soup and it can cook a bit more from the heat of the soup itself. The broth is very rich and tasty. The bowl is complimented with a side bowl of fresh herbs, bean sprouts, and lime. Some of the herbs that are added to it are mint, Thai basil, and cilantro. To some this might sound like a super fancy type of soup, but in reality it is not. It’s more of a loose soup that can go well with any occasion like a family dinner, a day out with your friends or just as a regular soup that you would consume. I give this restaurant 10 out of 10 and recommend it to any one that enjoys trying out different types of food and is looking for something rich and tasty that would satisfy your hunger needs. I think a nice hot bowl of Pho would go perfectly on a Sunday afternoon. As a matter of fact, I think I might go down soon and get myself one too.